Redwood Memorial and St. Joseph have both reported major surgical mistakes –- now what? Rumors are swirling about the St. Joseph Health System, a presence in Humboldt County since the Sisters of St. Joseph of Orange began treating flu patients here during the 1918 epidemic. While much remains unconfirmed, St. Joseph Hospital in Eureka and its sister facility, Redwood Memorial Hospital in Fortuna, both have made dramatic medical blunders within the past 12 months, and St. Joseph's chief medical officer is leaving or has left. Dr. Scott Sageman is stepping down from the organization's top medical job and "transitioning back to direct patient care," Laurie Watson-Stone, vice president for ancillary and support services, said last week. The hospital first scheduled then canceled an interview with the Journal to speak about that and other issues. It initially declined interviews and said it would consider responding only to written questions. Later, spokeswoman Leslie Broomall softened that stance somewhat and accepted a few questions over the phone, but she did not provide any answers in time for the Journal's deadline. 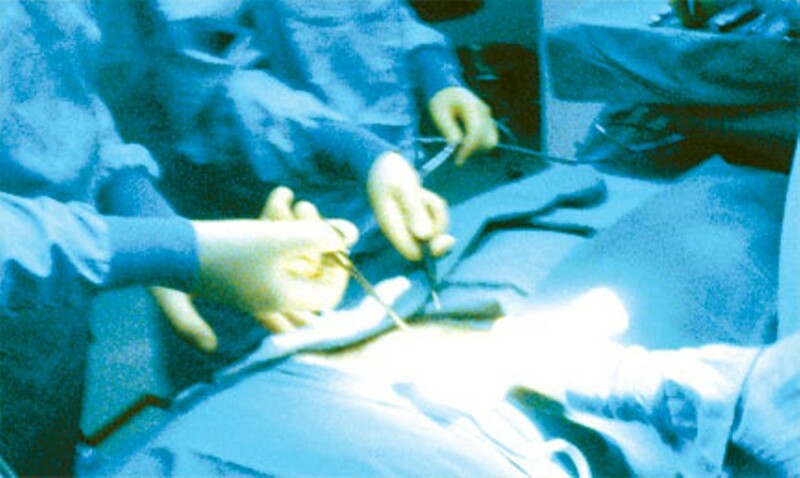 The hospital is required to communicate with regulators, and a picture emerges from California Department of Public Health records of serious surgical issues, including surgery on the wrong body part in January and leaving equipment in a patient after surgery at least once in June, and possibly a different time in July. Such errors are both utterly avoidable and utterly human. Because they have potentially devastating consequences, doctors have grappled for years with preventive steps, backup plans and checklists to try to avoid them. Among those weighing in has been noted surgeon and Harvard professor Dr. Atul Gawande, whose book "The Checklist Manifesto: How to Get Things Right," was published in 2009. In at least two of the recent errors at St. Joseph system facilities, the checklist systems failed because they were not properly attended to, according to deficiency reports from the state of California. And these weren't the first time such problems have cropped up. This month, after prolonged wrangling, attorneys for the state and the hospital system reached a $16,500 settlement over a different piece of equipment, left behind in a different patient's body, at Redwood Memorial in 2008. The state imposed a $25,000 fine for that episode in 2009, but hospital officials negotiated it down to about two-thirds of the original amount. That settlement was reached on Dec. 16 of this year, said Ralph Montano, a spokesman for the public health department. On top of all that, the state's Radiation Health Branch is also investigating St. Joseph Hospital, although it won't disclose why. Such investigations can involve failure to properly track radioactive materials. The most recent run of episodes began in early January, when a woman was scheduled to get a hysterectomy at Redwood Memorial. She had agreed only to having her uterus removed and did not want her ovaries taken, according to a state deficiency report. Her doctor told her about the potential downside of that decision -- about a one in 70 risk of ovarian cancer -- but she persisted. On Dec. 29, 2010, she signed a consent form only for removal of the uterus, the state report said. The report didn't name the woman or her surgeon, calling them simply "patient 1" and "physician A." Problems cropped up quickly in the plans for patient 1, according to interviews that state regulators did with several staffers. The surgeon's preoperative orders dated Dec. 29 said she would get a hysterectomy, the state said, but the updated form that the doctor filled out on Jan. 4 said she'd get a total abdominal hysterectomy plus a "bilateral salpingo-oophorectomy" -- removal of both ovaries and both fallopian tubes. In one of the many precautionary steps that surgeons commonly take before cutting begins, this surgical team held a "time-out." They reviewed, with the patient, what was about to be done. During that session, everyone there agreed that only a hysterectomy would be performed, but the doctor assisting the surgeon was not present, a staffer told state investigators. That surgeon arrived after the first incision had already been made. She asked her colleague, physician A, if the ovaries were going to come out, and he told her they would be taken. Although physician A was there during the "time-out" conversation with his patient, apparently her message hadn't fully sunk in. The state deficiency report summed up the surgeon's exchange with a hospital staffer this way: "Physician A told staff that he had not been paying close attention during the preoperative time-out. He told Staff A, ‘You hear what you want to hear.'" At the time they were removed, the woman's ovaries were normal except for a benign cyst, the state report said. The state concluded that medical records showed "Physician A informed patient 1 that he had ‘erred when removing ovaries without her permission.' He noted that he did not believe patient 1 was upset." No mention is made of how she has felt since. As with other medical errors made recently in St. Joseph facilities, the hospital was required to notify state regulators as soon as it realized what had gone wrong. It reported the problem on Jan. 12, and on Jan. 24 state regulators were at Redwood Memorial, interviewing those involved and reviewing medical records. In February, the hospital offered its plan of correction, another regulatory requirement for errors like these. Redwood Memorial told the state Department of Public Health that it had revised its time-out policy, so that a review would be done if anyone new joined the surgical team. It also agreed that the surgeon would read the consent form during the time-out session. And, it said, the surgeon would "request music be turned off and any other potential distractions be eliminated so that all attention can be directed to the time-out procedure." Surgeries on the wrong body part are extremely rare in California. Just 30 such blunders were reported to the public health department in fiscal year 2007-08, 26 in 2008-09 and 32 in 2009-10. Out of how many surgeries? A different state office keeps those records, but it shows that about 4.4 million surgical procedures that required general anesthesia or other potentially risky ways of controlling pain were performed in California in 2010. Redwood Memorial did 1,942 of them. So the statewide rate for this error has been, very roughly, one in 150,000 procedures. At that pace, if Redwood Memorial does around 2,000 surgeries a year, it would be typical to make a mistake like this once every 75 years. By summer, at least one more serious error cropped up, this time at St. Joseph Hospital in Eureka. And just like the ovarian removal, it happened because routine steps taken to prevent such things were disregarded, the state concluded in its deficiency report. The result? A surgical team blundered painfully, leaving a large piece of flat vinyl inside a woman's body for two months, an error that "caused or was likely to cause serious injury or death," the state said. The episode was first reported locally on the North Coast Journal's blog on Dec. 20, and later covered in the Times-Standard on Dec. 22. It's common for surgical teams to count, before surgery, everything that might go into an incision -- sponges, needles, scalpels, etc -- and then count it again before closing up. At St. Joseph, such counts were routinely made before surgeries, and anything brought in late was supposed to be written on the wall, on a whiteboard, a staffer told state investigators. The trouble was, only one operating room staffer routinely followed that rule and noted on the whiteboard whenever a visceral retainer, sometimes called a "fish," was brought into an operating room, an administrator told state investigators. She said she interviewed "all the OR staff" before reaching that conclusion. That one person who followed St. Joseph's whiteboard rule with visceral retainers didn't happen to work on the problem surgery, the administrator told the state. The surgeon did his bit, at least in part, because surgical records from June 8, 2011, show that he was notified, before closing the wound, that the first and final instrument counts matched correctly, according to the state. Its report describes the fish as a baby blue vinyl device, flat and shaped a little like a flounder, 10 inches long and as much as 6.5 inches wide at its widest spot. In this operation, to repair an abdominal hernia, the fish was used to hold the bowels out of the way, and was moved around in the abdomen while the surgeon sewed mesh into place. The fish comes with a long string and a loop that are supposed to be left outside the incision, and used to pull the device out once the surgery is over. In this case, the surgeon told state investigators, what "most likely" happened is that the loop and string were pulled into the wound while the fish was being moved around during surgery, and no one noticed. That's human error No. 1, the kind of thing checklists are meant to catch and correct. The trouble is, it ran up against error No. 2 -- the hospital's procedural error. Hardly anyone was writing the fish on the whiteboard, the state report found. So even though records show the surgeon asked about an instrument count, it didn't help. The fish had never been counted in the first place, the state concluded. The woman's pain didn't clear up the way it normally would have after a hernia repair. After two months, the state report said, her surgeon ordered a CT scan and saw that the fish was still inside her. This state deficiency report also blanks out some details, including the surgeon's name, the patient's name and her current condition, and the dates the fish went in and came out. However, the one reference to June 8 surgical records suggests that the first operation might have occurred that day. St. Joe's reported the error to state regulators on July 29. Again, state inspectors came on the scene quickly, and the hospital submitted its plan for avoiding the problem in the future. Among the steps it has taken or has said it will take, according to the state's deficiency report, are putting in place a new "quality monitoring indicator" for equipment counts, and giving additional training to surgical techs and nurses. St. Joseph's spokeswoman Broomall, while refusing the Journal's requests to interview doctors or other executives, emailed an unsigned media statement on Dec. 21, saying the hospital takes the error "very seriously" and had reported it to the state immediately. The statement said St. Joseph has "a long standing commitment to transparency" and added, "patient safety and quality have always been our top concern." Along with that surgical error, there is another, cryptic entry in state records from St. Joseph over the summer. More than two weeks before the fish problem was reported, on July 11, St. Joseph Hospital told the state Department of Public Health that surgeons had left something inside a patient's body. The state gave this report a different tracking number, or intake ID. Like before, the state found that the hospital's account of an object left behind was substantiated -- it did happen. But unlike the July 29 report, this time the state also found that there were no deficiencies in the hospital's behavior. For that reason, no report on the episode's details is publicly available, said state spokesman Montano. So did this happen twice? Were there two surgeries that went awry, spaced a few weeks apart, or just different aspects of the same one, which somehow made it into the state's reporting system two different ways? St. Joseph spokeswoman Broomall said she would pass the question along, but she did not respond in time for the Journal's deadline. Montano said that even if he knew, he would not be allowed to say. He added that although the Journal could submit a public records request for the investigators' notes regarding the July 11 report, such requests are generally rejected. Leaving something behind after a surgery, while unusual, is about five to 10 times more common in California than surgery on the wrong body part. The state received 154 reports of such "retained objects" in fiscal 2007-08, 191 in 2008-09 and 266 in 2009-10. If the 4.4 million surgeries reported in 2010 were a typical number, that would mean over the past three years, something was left inside a patient's body very roughly once in every 16,000 to 28,000 surgeries. St. Joseph's reported doing 10,657 surgeries in 2010, and may have made two such errors just weeks apart in 2011. And its sister hospital, Redwood Memorial, made its own retained object blunder in 2008. In that one, Redwood Memorial staffers again failed to create the web of protective checks and double-checks that prevent a fleeting, human slip-up from escalating into a potentially lethal error, a state deficiency report found. This time, it was failure to have a set of procedures for making sure that when a central venous catheter is put into the body, it ends up in the right position and the guide wire used to insert it has been properly removed, the state found. Failure to take those steps in an emergency room patient who had had a seizure resulted in guide wire migrating up the man's neck, and he had to be transferred to another hospital for it to be removed. Again, the state report did not name the doctor or the patient, but it did say the Sept. 8, 2008, episode involved a man who had had a major seizure, along with a broken nose, internal bleeding, neck pain and troublingly low blood pressure and blood volume. It was a very busy day in the emergency room, the doctor involved told state investigators, and when he threaded the catheter into the patient's femoral vein, he left the guide wire inside. "I spaced out and it was a regrettable incident," the state report says he told investigators. The next evening, thinking back on his shift, the doctor realized he couldn't remember taking the guide wire out, and he called the hospital to have someone X-ray his patient, according to the deficiency report. The morning of Sept. 10, looking over those X-rays, he saw that the guide wire was still inside his patient, and had traveled up the man's neck. The state concluded that Redwood Memorial's procedures for inserting devices like this didn't include any of the manufacturer's warnings, precautions or guidelines. It fined Redwood Memorial $25,000 on Sept. 22, 2009. That money still hasn't been paid. Even though the hospital submitted a plan of correction with new guidelines, it fought the fine for more than two years. Earlier this month, the state settled with the hospital and agreed to accept $16,500. Meanwhile, public health spokesman Montano said he can reveal nothing about the state's radioactive materials investigation except to confirm that one is under way involving St. Joseph Hospital. Hospitals use radiation in both diagnosis and treatment. The government likes to keep track of it, partly because of fear that enough of certain substances could be gathered up to craft into a crude dirty bomb, and partly because if certain medical equipment is scrapped carelessly, it could make people sick. An anonymous poster to the Journal's blog wrote that a package containing Iridium-192 was delivered to the hospital on Nov. 26 and given to a receptionist who wasn't authorized to receive radioactive material. The material was left in an unsecured shipping and receiving area until Nov. 28, the writer claimed. St. Joseph spokeswoman Broomall, asked if the state investigation has prompted any changes in how the hospital tracks radiation deliveries, had no response before the Journal's deadline. Iridium-192 is shipped to hospitals in wire form, and implanted in people's bodies to treat certain cancers, according to a website kept by the Radiochemistry Society, a Washington-state-based group that promotes safe uses of nuclear materials. It's unclear, so far, what the implications might be if some of it happened to lie around an unguarded area in a well-shielded box for a couple of days. And that joins the list of uncertainties for the St. Joseph Health System -- from what fines it might face now to who is going to take the helm of its medical operations.